A superb mix of music, fun and games to entertain the children and adults throughout your party. When you hire a children’s disco from Streetbeat you aren’t just booking a disco, but rather a full entertainment package. Not only do we provide a great disco, but most importantly we supply and organise all the games and competitions. 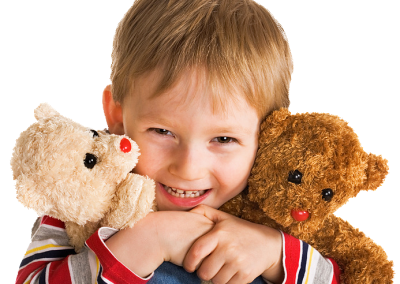 This ensures the children have lots of fun throughout the party and you have less to worry about! Read on to find out more about what we include. We play a selection of great music appropriate for the age group. Music includes the best chart and ‘trendy’ music popular at the time, mixed with a good selection of party favourites. If you wish, you can send a playlist of your favourite songs, and requests can be made to the DJ on the day. Sound quality is very important, so we only use high quality theatre and touring grade speakers and audio equipment. Good disco lighting is one of the main ‘wow’ factors at a party. This is especially true when used with a smoke machine (see below). 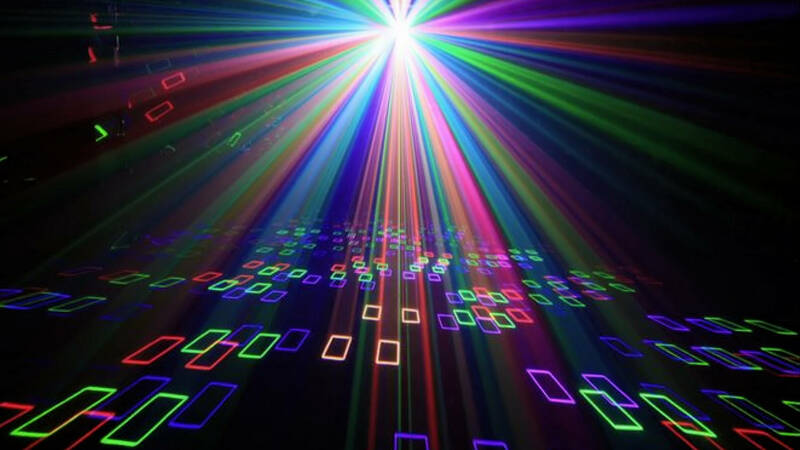 We include a variety of disco lighting effects which is great for building a good party atmosphere. But also, we use stage or audience lighting to highlight the scene for some of our games. We include a 3D RGB laser which is a very cool effect. It has a very wide angle to cover large areas of your venue. It projects colourful patterns and produces stunning effects the kids will love. 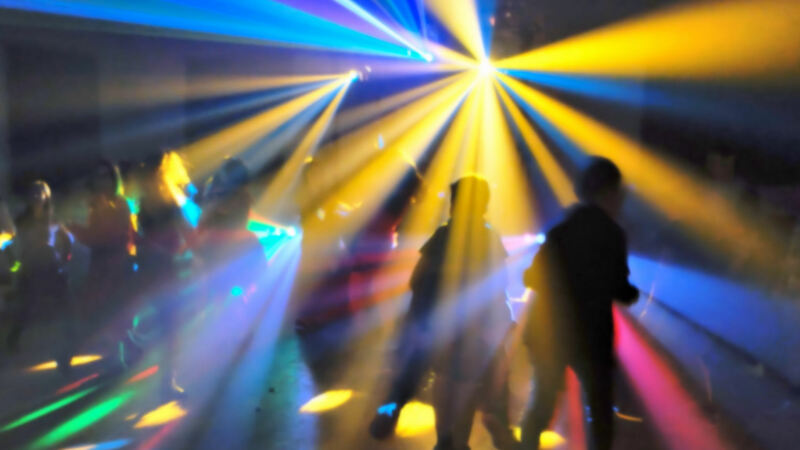 Kids love a cloud of white smoke and always run in to it, but the real reason for using a smoke machine is to make the disco lighting look amazing. A little smoke allows you to see the beams of light moving through the air which helps create a fantastic party atmosphere. 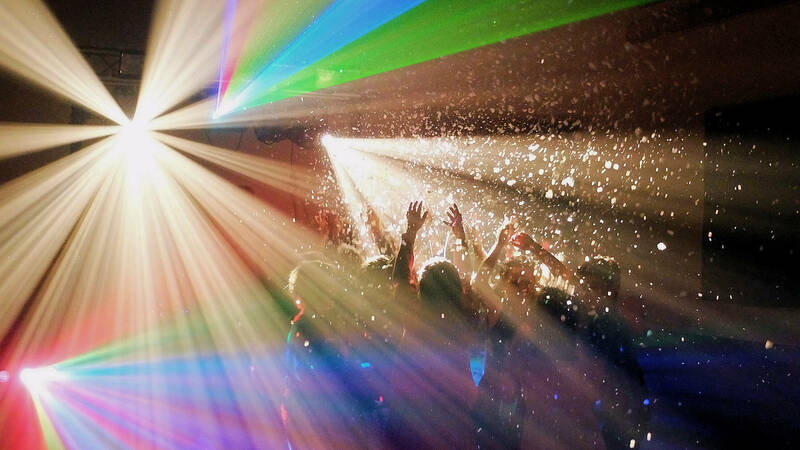 A smoke machine is included with all our disco bookings. However, it is important to check with your venue if a smoke machine can be used. Their use in some venues will be restricted. 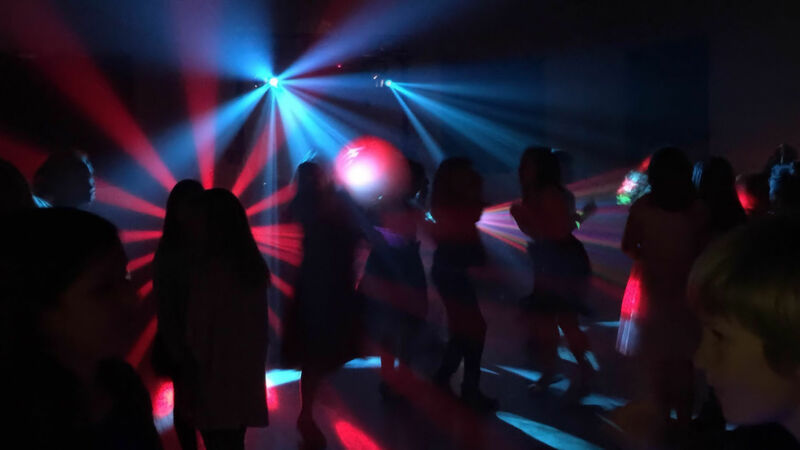 For daytime parties ensure your venue has good curtains, a dark room will make the disco lighting look at its best and help generate a better party atmosphere. Some venues do not allow special effects such as smoke, bubbles and snow. Please check before booking. When booking your venue, be sure to allow time for setting up. We usually require 1 hour before the start and 1 hour after the end to pack down. To find a list of venues in your area checkout our Venue Finder. Top Tip - Saving money! The biggest savings can be made by holding a joint party and sharing the costs with a friend or colleague. 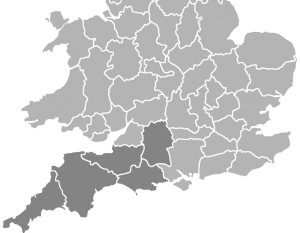 Village and community halls are usually among the cheapest venues to hire. Try to avoid Friday & Saturday evenings as these are more expensive. Simply leave the entertaining to us. Sit back, relax and enjoy the party too! 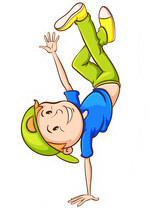 We will supply and organise a wide range of fun party games and competitions. All designed to keep everyone entertained throughout your party. We include our own original and some traditional games. 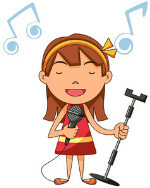 Singing, dancing, skills and silliness, all go into making your party one to remember! Or the mummy game at hallowen! If you have any of your own games we should be able to use them too. 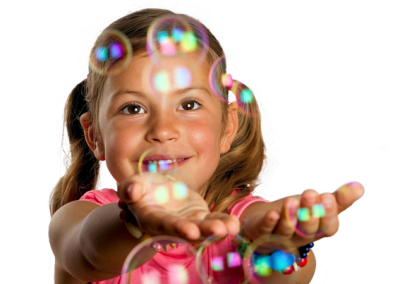 Choose from our range of optional extras to add to your children’s disco booking. If you’re not yet sure, don’t worry you can add them later. Snow machines and prizes are our most popular extras for children’s discos. Follow the links to read more about the extras we offer. 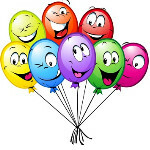 "I Just wanted to say how much everyone enjoyed Roisin's 10th Birthday Disco this evening. 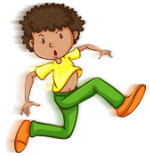 It was pitched exactly right for the age group with the perfect balance of games and dancing. She had a fantastic night and it was so easy for us. I would have no hesitation in recommending you." "Fab disco for our Daughters Birthday Party today. Ages ranged from 2-8 yrs and they all loved it (the adults too!). Definately took the stress away from us, kept everyone entertained and the music and games were brilliant. A huge thankyou from us Gary, will definately be recommending you to family and friends ☺"
"Gary was our DJ this evening for our daughters 10th birthday party and he was fantastic. The kids were entertained and the snow machine was amazing. He managed to get the mums up dancing that had arrived to collect their children which was great. Would 100% recommend to anyone for a disco – my daughter was delighted." Prices are for guidance only and are subject to seasonal variation. 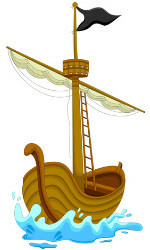 They are based on our minimum charge for a local, privately booked, two hour children’s party for ages 6 to 12 years. Prices and availability will be confirmed before you place your booking. 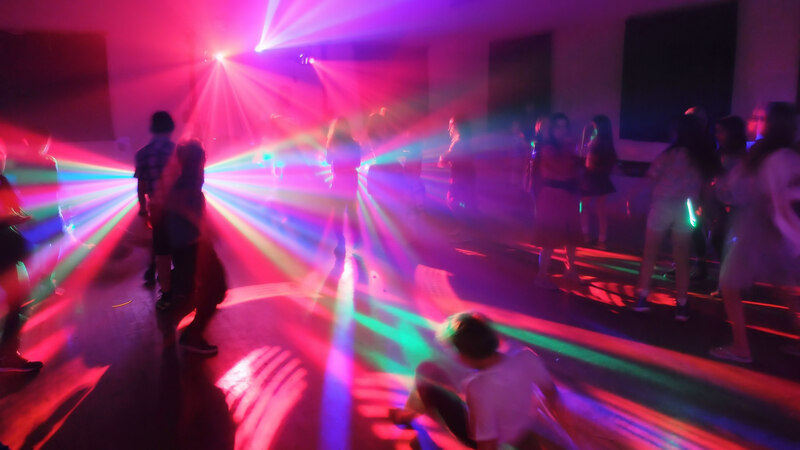 For organisations such as social clubs and youth groups please use our school disco price guide. For teenagers please see our teens disco page.